Despite their status as founding Avengers, Ant-Man and Wasp remain the perpetual underdogs of Marvel heroes in the Marvel Cinematic Universe. This claim could have gone to the Guardians of the Galaxy, but due to a critically acclaimed modern run (the 2008 to 2010 era written by Dan Abnett and Andy Lanning), and one of the better MCU franchises, the oddest MCU inclusions remain the size-shifters. While I’d like to pretend secret knowledge that suggested this was an oversight, there’s a pretty good reason. While there are good Ant-Man and Wasp comics, historically they have not been among Marvel’s best. That may well change as the duo gains fame in the cinema, and Marvel’s Fresh Start is certainly making strides in that direction. Nonetheless, below you’ll find the best of Ant-Man and the Wasp throughout Marvel history. Ant-Man gets his debut in the Marvel Age of Comics in Tales to Astonish #27, and #35 to #59. Janet Van Dyne joins Hank Pym as a series regular (and soon to be founding Avenger) in Tales to Astonish #44. Ant-Man and the Wasp are there from day one in Avengers (1963) #1, with Janet in particular becoming an essential leader of the team for a huge chunk of Avengers history. 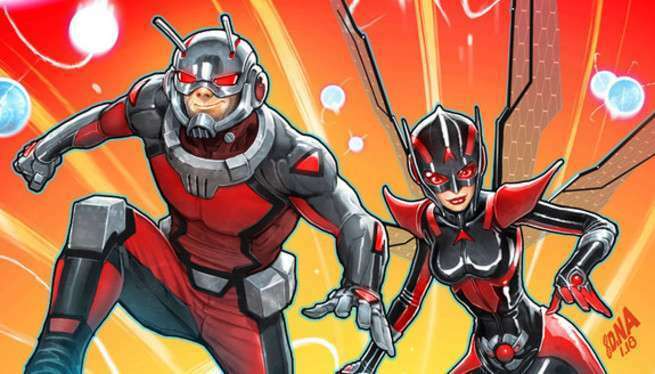 While it’s far from flattering, the most memorable Ant-Man and Wasp stories are almost certainly Mark Millar and Bryan Hitch’s re-imagining in the Marvel Ultimate Universe at the turn of the millennium. My favorite Wasp comic in recent memory comes in the pages of the Rick Remender written Uncanny Avengers. The new Avengers flagship came in the wake of Avengers vs. X-Men, bringing together Avengers (Scarlet Witch, Thor, Captain America, Wasp), X-Men (Rogue, Havok, Wolverine, Sunspot), and Wonder Man. An odd choice of these characters for sure, but it’s hard to talk about comic book Hank Pym without getting into his relationship with Ultron, and this modern graphic novel from Remender and Jerome Opena takes the connections in new directions. The modern MCU Scott Lang most closely resembles this interpretation written by Nick Spencer in the All-New All-Different era of Marvel. The alias of Wasp gets its first major overhaul in decades with The Unbreakable Kimmy Schmidt as its spirit animal.